If you are looking for a pet and baby safe carpet cleaning company, OxiGreen in Langhorne, PA is the company for you! What makes us confident that we are a pet and baby safe carpet cleaning company? First of all, at OxiGreen, we use only 100% green, environmentally friendly carpet cleaning agents. The cleaners we use are derived from natural materials and contain no harsh chemicals. There will never be any toxic residue left behind when we clean your carpets because we don’t use anything toxic to clean them! This creates a clean, fresh, and healthy environment for your small children and pets. Let’s face it, they spend the majority of every day on the floor, so keeping your carpeting clean and healthy goes a long way in keeping them healthy. Also, using these cleaners along with our state of the art, modern, truck mounted cleaning equipment delivers a deep and long lasting clean. While most vacuum and carpet cleaners never disturb the debris trapped deep in the fibers of the carpeting, our process dislodges and extracts dirt, dust mites, pet dander, and other potential allergens. This improves not only the appearance and cleanliness of your carpets, but the air quality in your home as well. 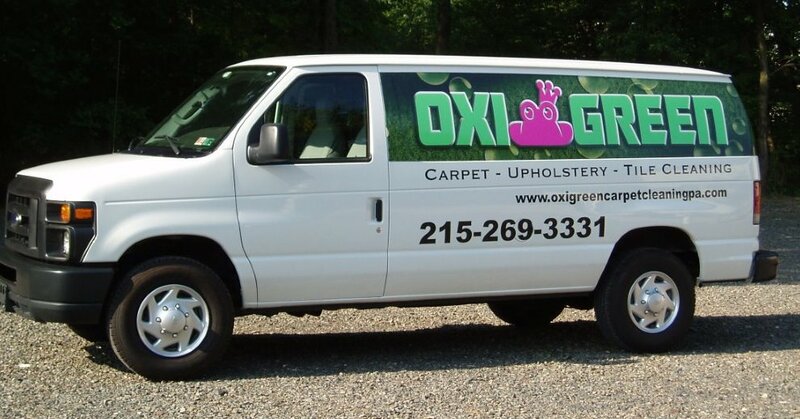 For a pet and baby safe carpet cleaning, contact us here at OxiGreen in Langhorne, PA at 215-269-3331. Our helpful and friendly customer service reps would be happy to answer your questions and schedule a FREE in home carpet inspection for you, after which we will offer you a competitive, no obligation FREE quote. You may also visit us online to read more about our company, our great customer reviews, and the other interior home cleaning services we provide. Call OxiGreen today for a great pet and baby safe carpet cleaning!